I am often asked for book recommendations for children. Over time, I noticed that I was consistently recommending titles published during my childhood or adolescence. As a child, I read some FANTASTIC books. 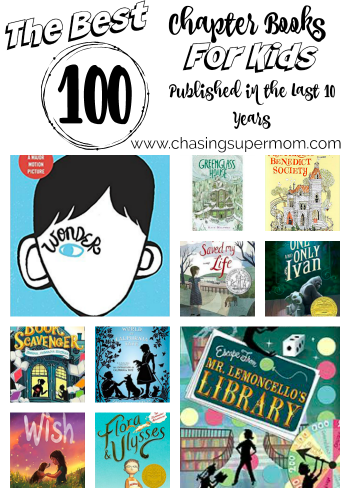 A few years ago, I wrote a post listing my 100 absolute favorite chapter books. I’ve spent the last year (literally!) combing the shelves of my local library, browsing booklists online, and flipping through everything my kids begin to read. I’ve sat myself down on the floor of the world’s largest independent bookstore and flipped through stacks of children’s books. I did my research, pored through reviews, and discovered some new cherished favorites along the way. My hope is that you’ll discover a new favorite amongst these titles – perhaps discovering an author or a series that really speaks to your child. *A few titles on the list may just miss my 10 year cut-off. The list took a little longer than originally anticipated to curate, thus putting several books over that ten-year mark. Still worth reading! Enjoy! This list of books is phenomenal (and I mean phenomenal). Each of these titles deserves to be someone’s favorite. In the interest of fairness, I’ve placed my personal ten favorites at the top of the list. The rest of the titles are in random order. (And personally, I hope you’ll read them all!!) Happy reading everyone. Go find a new favorite! 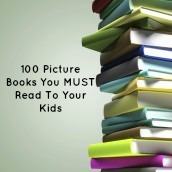 Check out my 100 Favorite Picture Books post!! 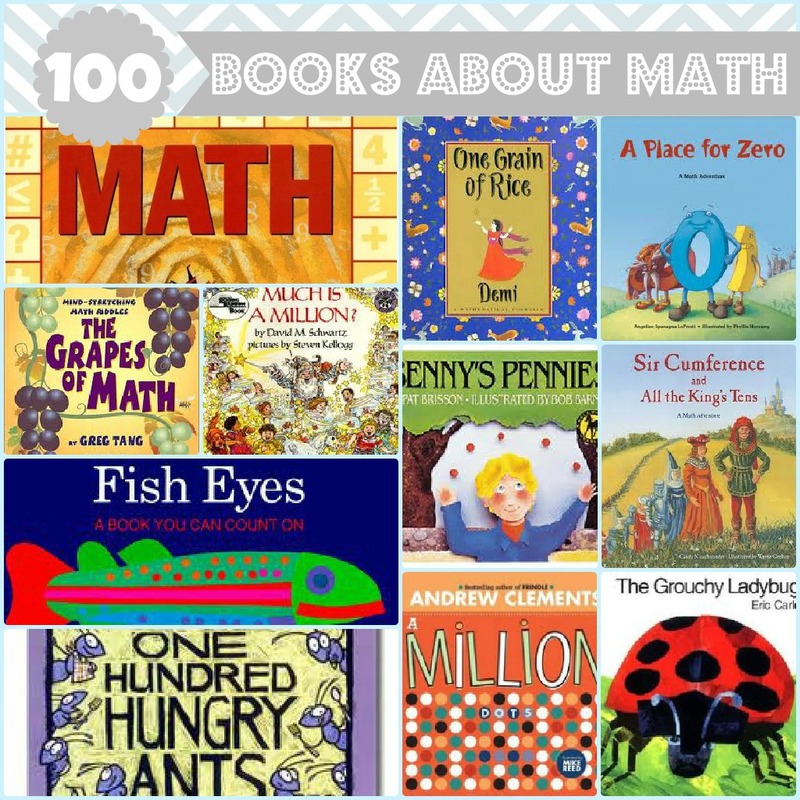 Check out my 100 Books About Math post!! Wonder is a wonderful book. I want to see the movie too. I love this list!! I forgot how much I loved the Westing Game as a kid.